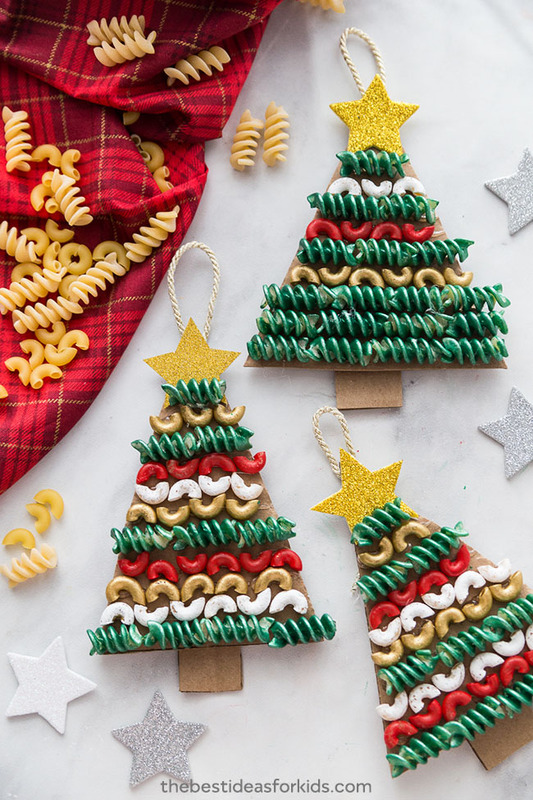 There’s something festive about crafting with pasta and macaroni over Christmas. That’s why we couldn’t resist making some fun pasta art this season! 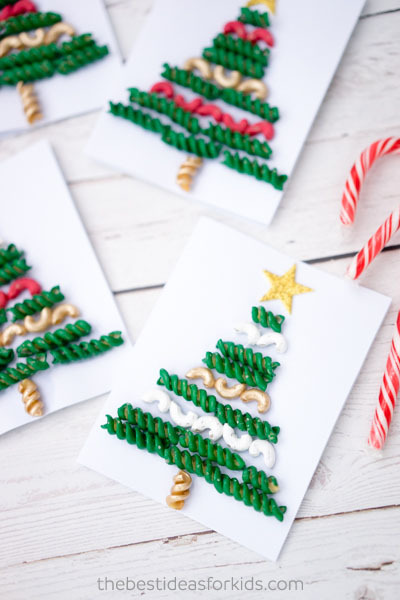 These Christmas tree pasta and macaroni craft cards are perfect for kids to make! 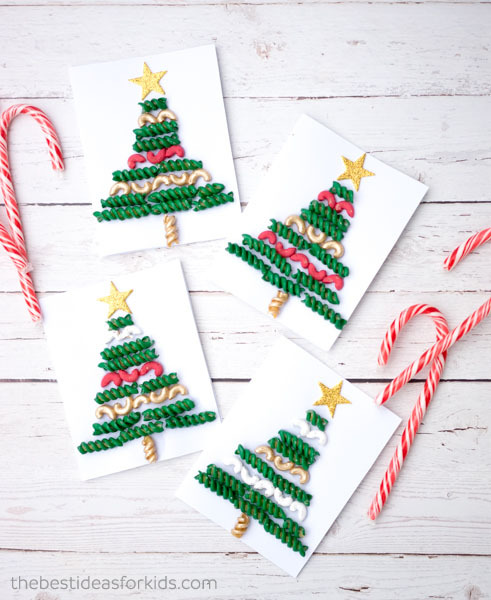 Simply make them as art, cards or even glue onto cardboard to turn them into ornaments! Dying Pasta Noodles is actually a lot easier than it looks! 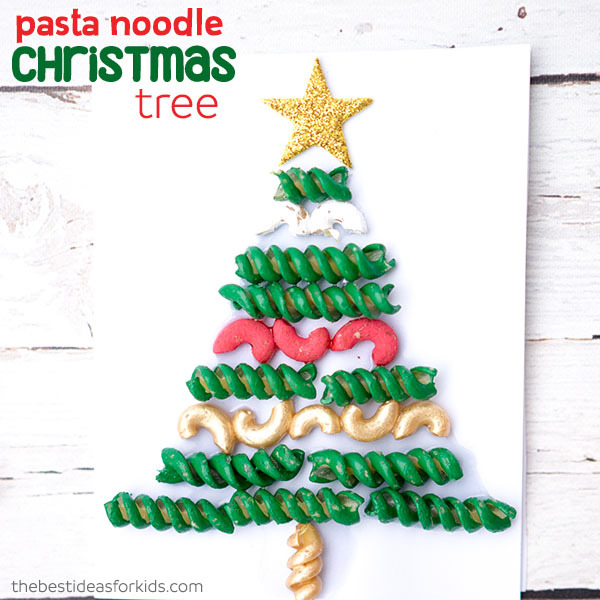 Now time to make your pasta noodle Christmas tree! – Acrylic paint – green, white, red & gold. We also used “glossy paint” and found it gave the noodles a more shiny appearance. 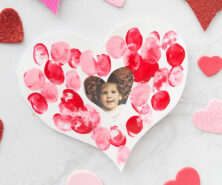 First you can make your small cards with white cardstock. Just fold them over and cut to the size you’d like. We easily broke off a piece of the gold fusilli noodle to make as the tree trunk. Then you can start adding your green fusilli noodles starting at the bottom of the tree and working your way up. We did 3, then 3 or 2, 2, 1, 1, and 1 with each piece and length being a little smaller. 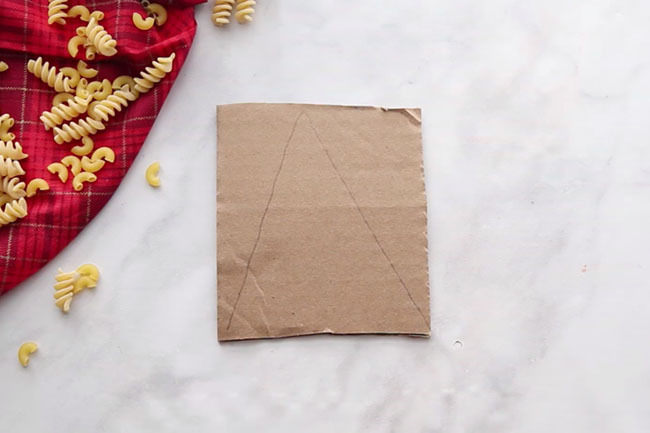 You can easily break the dried pasta fusilli noodles to make it the size you need. 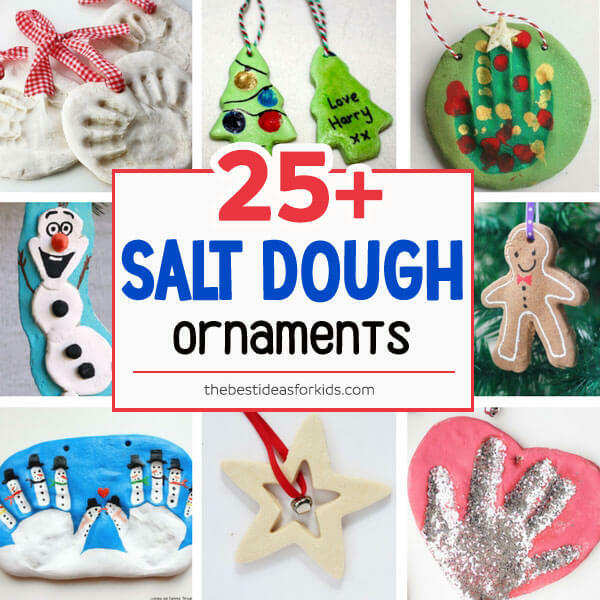 You can even turn it into an ornament! You can make different designs or layers with the noodles you choose! Every Christmas tree ornament will be unique. 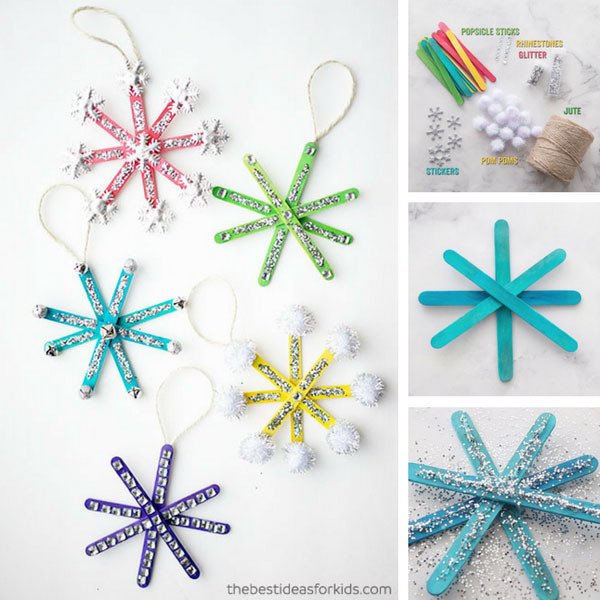 Kids will love designing their own Christmas tree ornament! Cut out your triangle shape. You can use it as a template to cut out more. 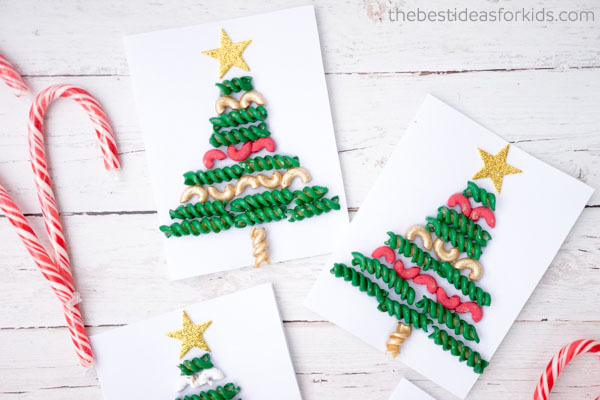 Then start creating your Christmas tree by gluing the noodles down. When gluing down, start from either the top or bottom. It will help to lay out your design first to make sure it will fit. 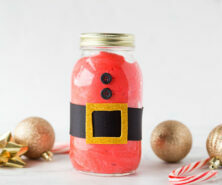 Otherwise, it is better to start from the top for this ornament because then you can trim off any excess from the bottom. If it doesn’t fit, readjust the size of the noodles you select (for example, add more or less macaroni which are smaller). Or trim off the bottom of the cardboard. 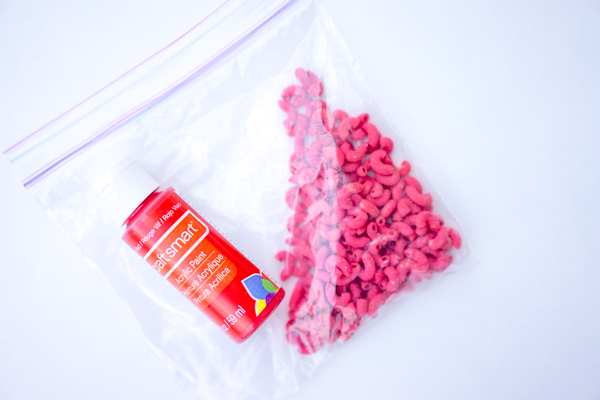 Kids can have fun just gluing on the colored pasta noodles to regular paper too! 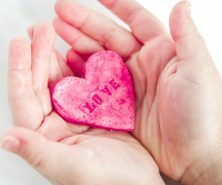 Make these into cards or glue them onto some cardstock on top of cardboard and make christmas ornaments out of them! And that’s it! This one is so much fun to make. 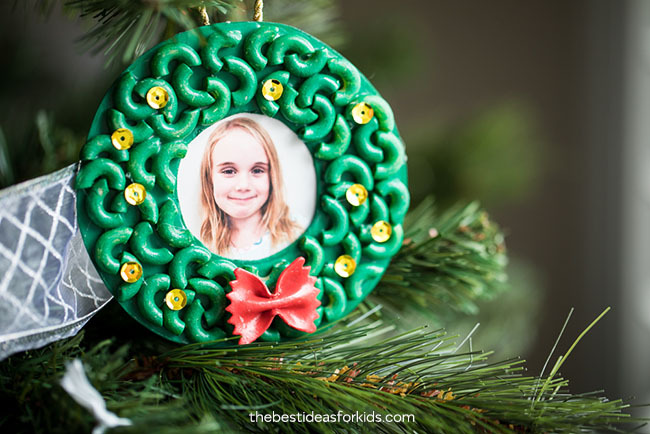 And if you love easy Christmas craft ideas, be sure to see our macaroni wreath ornaments too! 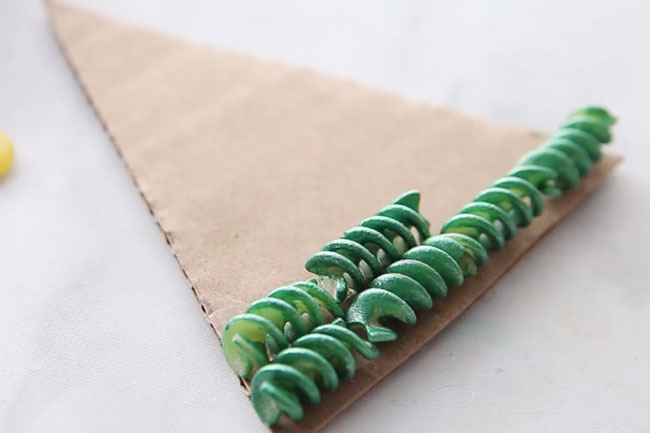 See these other macaroni ornaments – how to make a macaroni wreath!